Apple reported its earnings for the first quarter of the year today. It was a beat, but there was a disappointing stat: iPad sales were far below expectations at 16.35 million units. This is the latest example of how iPad growth has stalled for Apple. 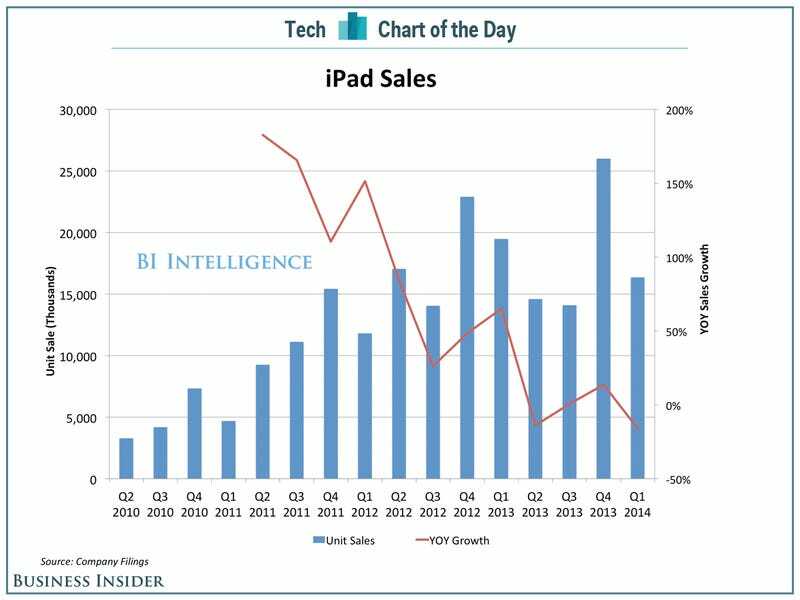 Here's a chart of iPad sales and growth since Q2 2011 from Business Insider Intelligence.